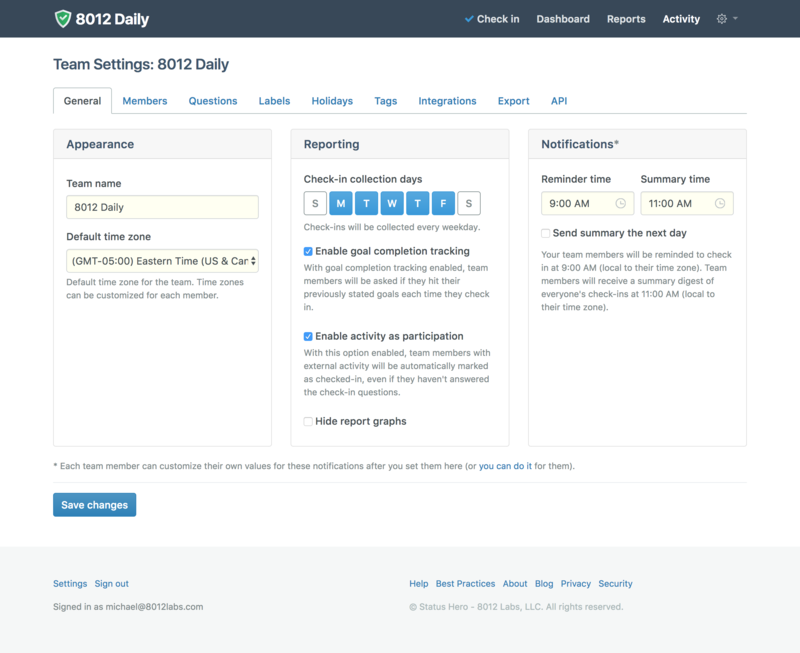 If you activate an integration that pulls in activity from external products, then team members are automatically counted as participating when they have activity to report. To disable external activity from counting as a team member checking in, go to Team Settings and uncheck the "Enable activity as participation" option in the Reporting section. When disabled, users will only be counted as participating in a check-in if they provide a manual update.